A Japanese pufferfish makes an extraordinary sand sculpture to attract and win a mate. A soft-bodied robot that swims like a manta ray has been engineered to spy on underwater creatures without disturbing them. It’s a drone of the deep. The mostly transparent robot has no motor or other rigid machinery and is much faster than other soft robotic fish. The goal is to use the robot to explore underwater areas, says Tiefeng Li at Zhejiang University in Hangzhou, China. It could be used to investigate a submerged ship or plane wreck, or survey coral reefs. “The soft body will make it easy for the robot to sneak through reefs without damaging them,” he says. Robots are increasingly being constructed from soft, stretchy materials to make them more resilient and more compatible with living beings. However, powering them without traditional hard-edged circuit boards and motors is a challenge. 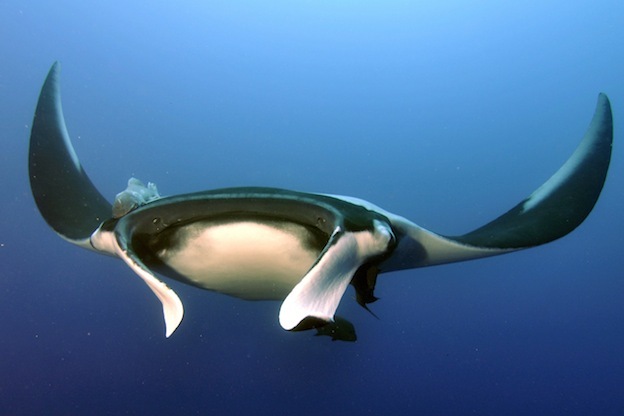 To get around using a motor in the manta-ray-inspired robot, Li and his colleagues made artificial fin muscles from a flexible polymer called dielectric elastomer. A silicone-encased lithium battery supplies a cyclic voltage that squeezes and releases that material, causing the muscles to bend up and down. This flaps the ray’s fins, made of a thin silicone film, so that it moves through the water. The rest of the remotely controlled robot – which weighs 90 grams and has a wing span of 22 centimetres – is made of a silicone body and tail for steering. All components are transparent, except for the small battery pack and two electromagnets that help to manoeuvre the tail. The soft robot inspired by the manta ray. At top speed, the robot can swim 6 centimetres per second. This beats the previous record for soft, untethered underwater robots by 3 centimetres per second, but is still significantly slower than similar-sized fish. The researchers showed that the electronic ray can tolerate temperatures between 0.4°C and 74°C, swim for 3 hours with a single battery charge, and carry a small video camera to monitor its surroundings. The flexibility and transparent disguise of the robot ray should allow it to monitor underwater environments without disturbing or damaging them, says Li. “Ocean creatures will feel more comfortable with it than hard, non-transparent robots,” he says. The underwater electronics do not pose an electrocution risk to ocean life because the robot’s circuitry is set up so the surrounding water functions as the grounding electrode – the end that dissipates electrical energy. “This is a very good idea,” says Gursel Alici at the University of Wollongong in Australia. A robotic ray tested in the deep end of UVA's Aquatic Fitness Center pool. Although other types of robotic swimmers have been made using soft parts – including ones that mimic octopuses, fish and jellyfish – the manta ray is a unique take on this concept, says Alici. It remains to be seen whether it will have practical applications, he says. Two years ago, Palau created one of the largest marine reserves on the planet—and it's paying off. It stands to reason that if you protect the ocean, ecosystems will thrive. Now, scientists have hard data to back up that logical assumption, thanks to a sweeping study of marine reserves in the island nation of Palau. Nearly two years ago, Palau officially designated 193,000 square miles of its maritime territory as a fully protected marine reserve, where no fishing or mining can take place. The reserve became the sixth-largest of its kind in the world—while the island of Palau is smaller than New York City, its marine protected area became larger than the state of California. Palau's vibrant corals are thriving, despite some of the warmest and most acidic waters in the world. In this virtual reality experience, Lukas Isall from the Palau International Research Centre explains how unlocking the mystery of Palau's corals might help in the fight against climate change. In a statement made at the time, Palau's President Tommy Remengesau, Jr., said the move was essential to conserving the island's livelihood: "Island communities have been among the hardest hit by the threats facing the ocean. Creating this sanctuary is a bold move that the people of Palau recognize as essential to our survival." Now, science has confirmed the case: In a paper published March 30 in the journal PLOS ONE, researchers from the Fisheries Ecology Research Laboratory at the University of Hawaii report the results of their efforts set out to monitor just how much positive impact a marine protected area could have. The Pristine Seas team surveyed a lake harboring millions of jellyfish Palau's greatest tourist attraction. Their study focused heavily on the amount of biomass—fish and so-called benthic organisms living on the sea floor—that were present in Palau’s protected areas. To disturb the marine life as little as possible, the researchers didn’t take any samples and instead derived their results from photographs and direct visual estimates. They found that protected waters had twice the number of fish as unprotected waters and five times the number of predatory fish. As a key food source for other predators, a healthy fish population indicates a thriving ecosystem. "What we measured confirmed that no-take marine reserves help increase the biomass of fish, as we've seen in other areas around the world," says Enric Sala, a National Geographic Explorer-in-residence who worked on the study. Protected areas allow Palau’s fish to produce more offspring, which in turn produces a number of benefits for local fishers. The study suggests that when biomass increases inside protected areas, the resulting spillover of adult fish populations into non-protected waters leads to more abundant catches for local fisheries. Sala notes that this successful conservation was attributable not only to policy instated by the local government, but also to the culture of conservation among the island's inhabitants. The nation has no military with which to enforce regulations. Instead, local conservation efforts evolved from a thousand-year-old tradition called bul. The practice takes place when Palau's Council of Chiefs places certain reefs off limits to allow fish undisturbed space to breed and feed. Heeding the sensitivity of fish during these periods ensured populations would be sufficient for feeding local communities at later times in the year. National Geographic Explorer-in-Residence Enric Sala led an expedition in September 2014 to document the stunning biodiversity of the Republic of Palau's waters and assess how a marine protected area could help safeguard the ecosystems of this paradise for generations to come. The expedition was part of National Geographic's Pristine Seas project. 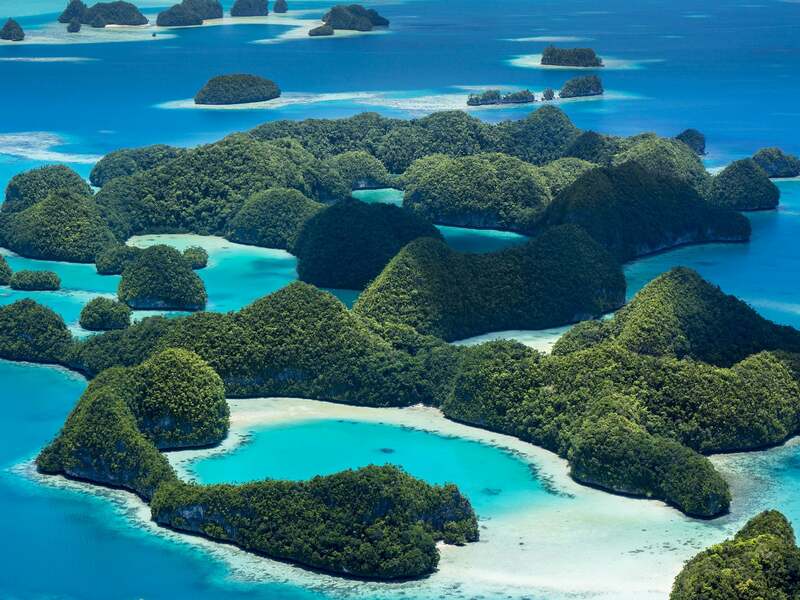 Palau depends heavily on a healthy marine ecosystem. It has one of the highest rates of biodiversity on the planet, and a significant portion of its economic revenue is generated by environmental tourism. Of course, Palau isn’t the only country to benefit from healthy marine resources, and only 1.6 percent of the world's oceans are protected. The researchers hope other governments will take notice of how beneficial these protected areas can be. “We need as many more reserves as possible in remote and in populated places, large and not so large," saysid Sala. "There is no time to waste." 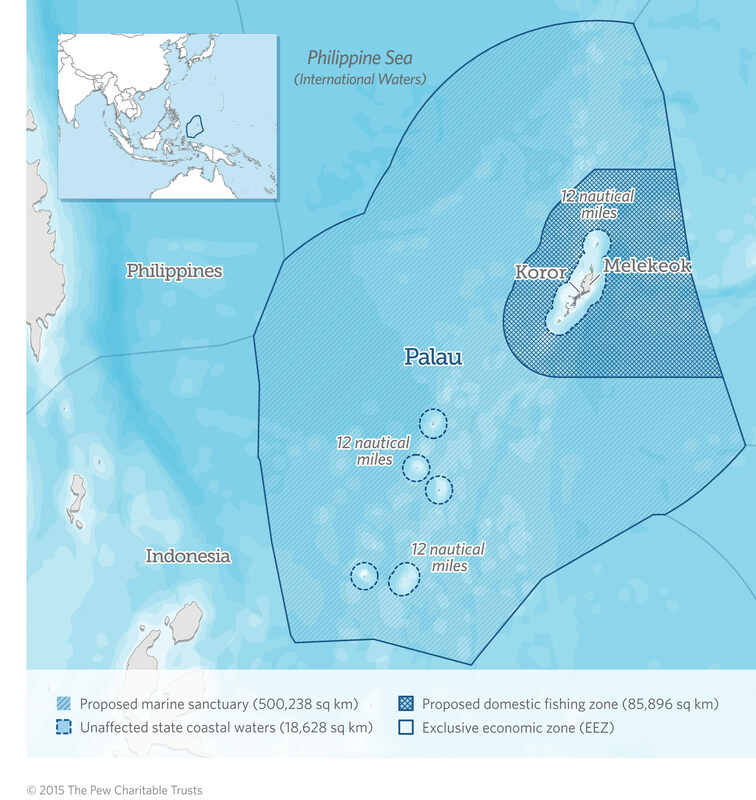 Correction: The area surveyed for this study took place off the coast of Palau. The marine sanctuary is located farther offshore. Scientists believe their findings in protected areas near Palau's populated regions mean the reserve will yield positive results. Nat Williams, James and Bettison Treasures Curator at the National Library of Australia, discusses the Fra Mauro Map of the World. 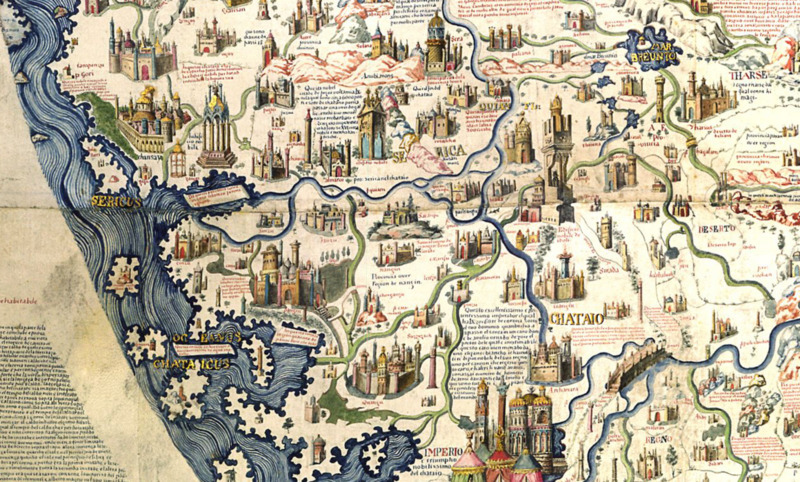 Created by the monk Fra Mauro between 1390-1459, it is one of the most important and famous maps of all time and the crown jewel of the collections of the Biblioteca Nazionale Marciana in Venice. If you had landed in Venice during the mid-15th century, you might have been accosted by a monk with a prominent nose and baggy, smurf-like hat. Ignoring your exhaustion and atrocious body odor after a long sea journey, he would have dragged you to a nearby tavern and cross-examined you about your travels. What kind of precious gems were mined? What animals did you encounter, and how many heads did they have? 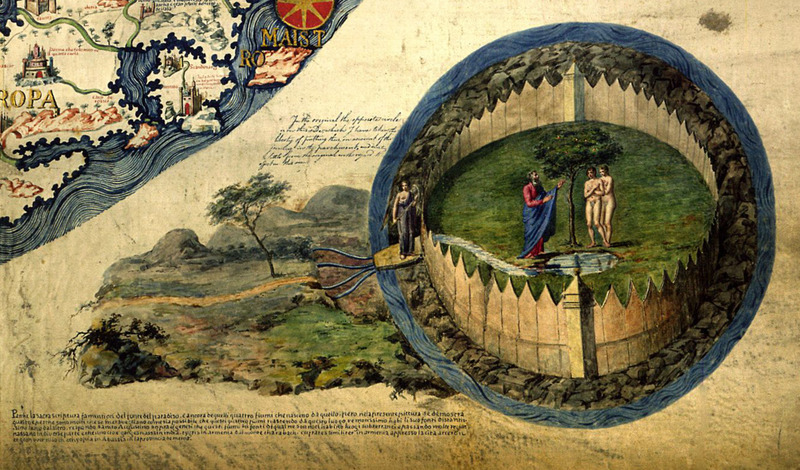 Map of the world by Venetian monk Fra Mauro. The image shows a reproduction made by W. Fraser made in 1806. The map is orientated with south at the top. The Fra Mauro map, inverted according to the modern North-South orientation. The monk was Fra Mauro, a 15th-century version of Google Earth. Famous for his cartographic skills, he had been commissioned by King Alfonso of Portugal to produce a map of the world. The Portuguese were eager explorers and wealthy clients, and in the days before satellite imagery, Venice was a cartographers’ heaven. Arab traders and world explorers passed through the port, giving Fra Mauro an incomparable source of gossip and tall tales about the world. 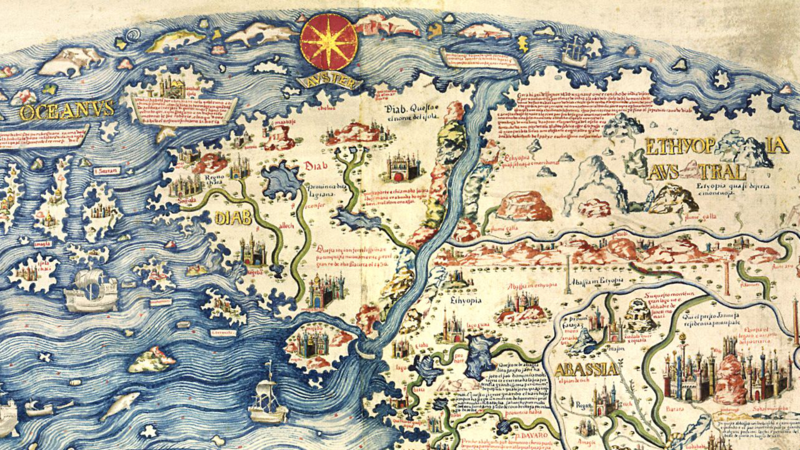 The fall of Constantinople, occurring a few years before the map was finished, would also have provided a rich source of well-traveled refugees, presumably willing to swap their stories for some bread or beer. 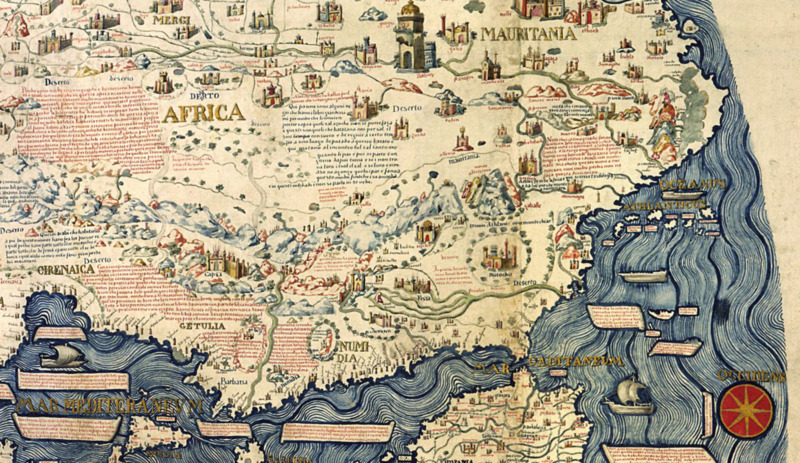 Crowdsourcing a map had never been easier, and Fra Mauro took full advantage. He interrogated these travelers with an inquisitiveness verging on belligerence, cross-checking their tales against the extensive library in his monastery in the Venice lagoon. He used their information to draw the map itself and pepper it with almost 3,000 annotations. Some of the thousands of annotations on the map. Fra Mauro loved a good story, and his map is packed with pictures of amber, rubies, pearls, diamonds, manna, and “other notable things”. He was also fascinated by exotic animals and practices. Seven-headed serpents roam the province of Malabar in India, troglodytes run wild in East Africa, and the Barents Sea near Norway harbors fish that can “puncture the ships with a spike they have on their backs”. More exotic treasures include a lake on an island in the Indian Ocean that can turn iron into gold. Given that he repeated this particular tale in three different places and drew a spectacular gold lake in the middle of the Andaman Islands for good measure, his skepticism seems ambiguous to say the least. 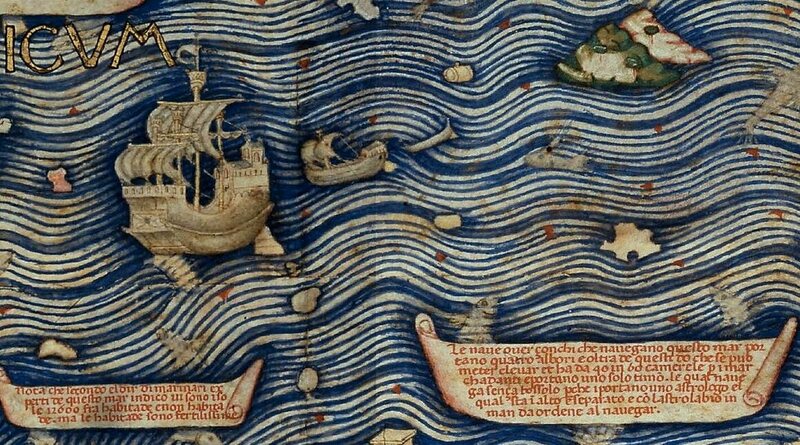 Detail from Fra Mauro's map, a work of unprecedented thoroughness and accuracy. To modern eyes, the monsters, lakes of honey-wine, and cannibals suggest credulity. In fact, however, the annotations on the map are full of doubt and skepticism. In both India and Africa, Fra Mauro gives no credence to the wild tales of “human and animal monsters,” noting that none of the travelers with whom he spoke could confirm the stories. Fra Mauro was also exceptional in his rejection of religious and classical authority. Europe was not a haven of religious tolerance at the time; the Spanish inquisition started just 20 years after the map was completed. Mapmakers, consequently, focused on keeping the Church happy rather than worrying about minor geographic details. Medieval maps showed the location of Noah’s Ark, discussed the depravity of pagans, and illustrated the hideous giants Gog and Magog, lurking in the far North and eagerly awaiting the apocalypse. Fra Mauro, by contrast, took a rigidly empirical approach. The Garden of Eden was relegated to a sidebox, not shown in a real geographic location. He sternly noted that the tradition that the Gog and Magog lived in the Caucasus Mountains “is certainly and clearly mistaken and cannot be upheld in any way,” since plenty of people lived in and traveled to the mountains, and they would have noticed any monstrous giants living nearby. Adam and Eve made an appearance on the bottom-right corner of the map. Fra Mauro also criticized various classical authorities. Like a cheeky schoolchild—or a commentator on an online forum—Fra Mauro prefaced his criticism by saying that he didn’t want to seem contrary but couldn’t help it that everyone else was wrong. Ptolemy got the size of Persia wrong, mislabeled Sri Lanka, and didn’t realize that you could sail all the way around Africa. His robust skepticism marked a transition away from medieval traditions towards the intellectual excitement of the Renaissance. 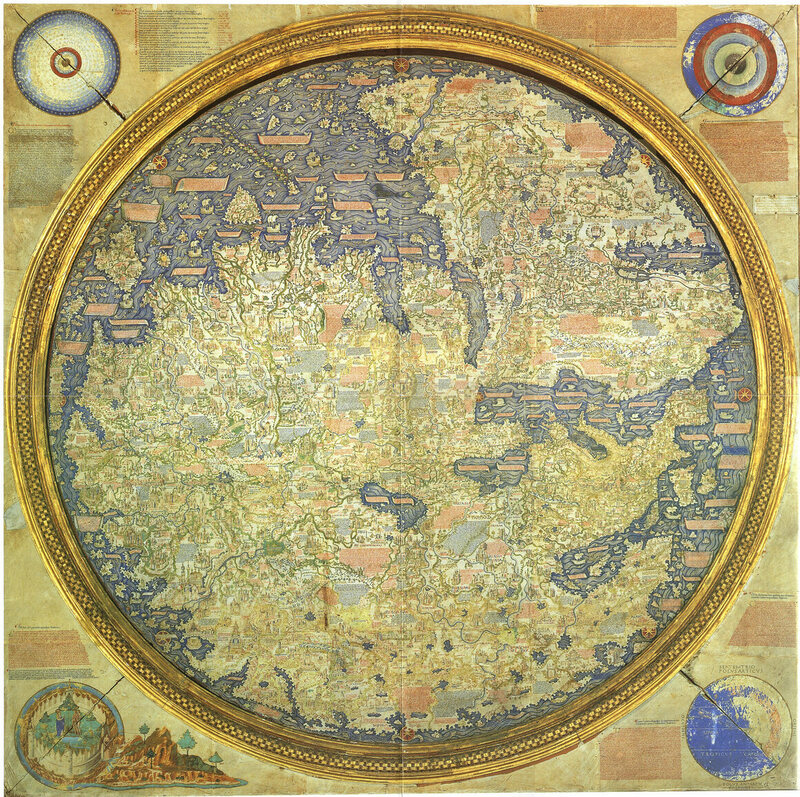 As a result, Fra Mauro’s map was the most accurate ever made at the time. He was the first to depict Japan as an island, and the first European to show that you could sail all the way around Africa. The latter finding drew on reports from unfortunate traders blown by a storm ‘round South Africa, learning that it was circumnavigable and liberally endowed with 60-foot birds, capable of picking up elephants. Through depicting the riches, navigation routes, and people around the world, Fra Mauro didn’t just describe terrain, but played a part in encouraging further exploration and analysis, leading up to the famous Age of Exploration and the discovery of the Americas. 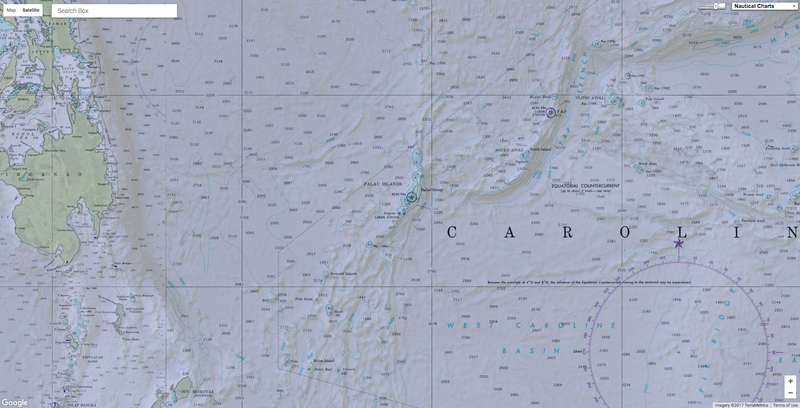 Ships at sea on the map. Modern interest in Fra Mauro’s map was sparked by Placido Zurla, a monk at the same monastery, who published a lengthy study in 1806. Since then, it’s been widely recognized that Fra Mauro was way ahead of his time for his accurate geographical knowledge, willingness to challenge authority, and emphasis on empirical observation. 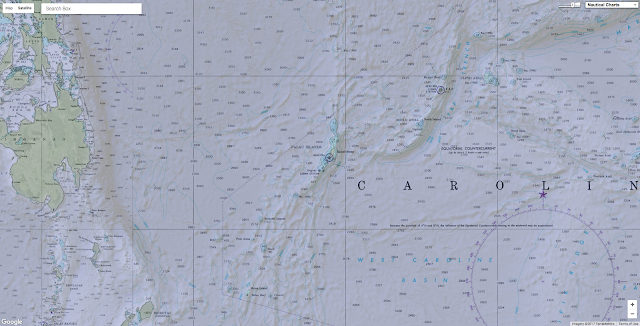 The map is accurate enough to guide researchers to as-yet undiscovered archaeological sites. For example, Fra Mauro’s contacts in the Ethiopian Church allowed him to map medieval Ethiopia in surprising detail. He accurately portrayed a number of geographical features; the Awash River, mountain ranges surrounding Addis Ababa, and the Ziquala mountain and monastery (which is still there, 500 years later). Alongside geographical features, Fra Mauro plotted ancient cities that for centuries scholars assumed never existed. This assumption is challenged by archaeologists today, who have found unmistakable signs of past habitation in the sites that Fra Mauro indicated. Although no excavation has started, obsidian shards and pottery pieces litter the landscape, and small walls, old grindstones, and worn foundations are visible under moss and bushes. If he were alive today, Fra Mauro would probably be disappointed to know that lakes of gold and wine existed just in the imagination of the travelers he interviewed. He would, however, be happy to know that his map is proving more accurate than skeptical cartographers gave it credit for, and that it still acts as a starting point for research and discovery. In 2009, Kerry McPhail descended Jacques Cousteau-style towards the Axial Volcano, inside the cramped, 30-year-old little submarine DSV Alvin, with a pilot and another scientist. Three hundred miles off the coast of Oregon, they were collecting tubeworms, bacterial mats and bivalves living near a deep sea volcanic vent. These samples could potentially yield new pharmaceutical compounds—and in turn, new chemical cures and desperately needed antibiotics that are yet undiscovered. The scientists didn’t notice that they’d forgotten to swap their carbon dioxide scrubber for a fresh one, a requirement partway through the eight-hour dive. “We didn’t get a headache from too much CO2 or anything—we were so involved in what we were doing,” she remembers. After ascending at the end of that dive they were left bobbing in the tank, nearly upside down at the ocean’s surface for a half hour, waiting to be recovered by the vessel that brought them out there—an especially tricky encounter in the choppy water. “It was the best experience I’ve ever had,” she said. When you've got a bacterial infection like pink eye or strep throat, your doctor will usually write a prescription for antibiotics to make you feel better. But have you ever wondered where these medicines come from? Most drugs come from flowers and plants on land, but finding new sources is difficult. And some bacteria have become resistant to a few of these drugs - so much in fact that these drugs don't work any more. The ocean - with its amazing biodiversity - offers many more organisms for scientists to discover and develop new medicines. NOAA scientists have been collecting and studying sponges, corals, and other marine organisms. They and their partners discovered a chemical that breaks down the shield that bacteria use to protect themselves from antibiotics. Used as a helper drug, antibiotics that are no longer effective would once again be able to fight off these resistant bacteria. NOAA scientists have also extracted chemicals from corals and sponges that fight some of the worst infectious bacteria. In order to make these new antibiotics, scientists make copies of these chemicals in a laboratory. This way they won't have to constantly harvest corals from the ocean, leaving our marine ecosystems healthy and intact. The ocean may hold the key for finding new medicines, but not if we don't keep it - and everything that lives there - healthy and pollution free. Do your part to protect coral reefs. Do not buy coral jewelry or home décor. And when snorkeling, fishing, or scuba diving, be careful to not touch or disrupt coral beds or the sea floor. The next cure could be hidden there. Pharmaceuticals come from all over. These days, we synthesize most in a lab—but the chemical that becomes aspirin once came from willow bark. Insulin was once derived from animals or safflower. Some put extract from aloe vera on their burns. While nature and science have yielded countless useful drugs for modern medicine, we’re always in short supply of something. Right now, humans are running out of antibiotics. Bacteria just evolve too fast, and any bug killer we throw at them becomes ineffective when the few that didn’t die reproduce after a few generations. And, of course, there are the cancers and viral illnesses for which there are still no cures. Some researchers hope a completely different frontier could contain a cornucopia of never-before-seen molecules to cure our ails: The hydrothermal vents on the seafloor where water seeps into cracks in the rock, is heated by magma, and spews out in smoke plumes from rocky towers that can measure well over a hundred feet tall. “The metabolism of the organisms at the deep sea vents are so different in the way that they use metals” in their energy-producing chemical reactions, McPhail, a professor in Oregon State’s College of Pharmacology, told Gizmodo. “The byproducts are surely different molecules than what we have in the terrestrial biome” here on land. McPhail is a leader of an effort to “bioprospect” for new molecules with pharmacological applications on the seafloor around hydrothermal vents. She hopes to find a crazy array of chemicals inside the exotic creatures, from bacteria to mollusks, thriving on deep-sea volcanic vents—chemicals that may one day cure diseases or be useful as antibiotics. “There are weird microbes in the hot springs in Yellowstone and other places like that,” said Bill Chadwick, an Oregon State University professor working on the National Ocean and Atmospheric Administration’s Earth-Ocean Interactions Program. The idea of bioprospecting in general, even bioprospecting the ocean floor, has been around for decades, explained David Butterfield, oceanographer at the Joint Institute for the Study of the Atmosphere and Ocean at the University of Washington. It’s received a huge amount of attention, too, with lots of companies investing money and discovering useful underwater compounds. Sea sponges produce anti-psoriasis and even anticancer compounds, for example. Butterfield had spoke about hunting for compounds with a company called Diversa on a research cruise, but they were more focused on finding new enzymes, the molecules that help the body carry out its chemical reactions. Butterfield was looking for someone who would step up to really carry out a deep sea drug hunt around hydrothermal vents. “Then Kerry came along,” he said. The two spoke about it in October of 2008. “I just wanted to make sure someone was doing it,” said Butterfield, “And get them out on a ship to collect the kind of material they would need to get started on that kind of research.” McPhail would become the volcanic vent drug hunter. Interdisciplinary teams of American scientists funded in part by the National Institutes of Health continued collecting samples at vents in places like Axial Volcano and the Mid-Atlantic Ridge through 2012, with researchers descending in Alvin or operating the remotely-controlled Jason submersible. The research has proven promising. They found animals with some strange bioactive molecules in the Mid-Atlantic Ridge, like mussels with new kinds of ceramides, cell-killing molecules that could possibly be used as anti-cancer drugs. Other exotic molecules looked like peptides, sort of like proteins except smaller and ring-shaped. These “cyclic peptides” include other molecules like the immunosuppressant drug cyclosporin and the first aid kit staple, bacitracin. But a few potentially exciting compounds doesn’t mean volcanic vent medicines are ready for the big time. The research has produced more questions than molecules from species of bacteria that no scientists have ever seen before. Even after those trips, today, scientists are only working on decoding what the hell they’ve got and how to convince the bacteria to continuing making their strange new atomic arrangements far away from their high-pressure homes. “It was tricky to get the bacteria to keep producing the molecules,” said McPhail. It took two years for McPhail’s team to coax some of the organisms they found to produce their crazy compounds again. A combination of every field of science, from physics to chemistry to biology to geology, is needed to explain why these bacteria, shrimp and mussels produce their mystery molecules. Volcanic submarine zones create vents that heat the water to hundreds of degrees, so hot that it leaches compounds from the rocks comprising the vents. An aboveground volcano might release such compounds into the air, far from the reach of most terrestrial life. But the high pressures from the weight of the ocean above prevents the superheated water around the volcanic vents from boiling, so the chemicals stay dissolved in what looks like black smog. Life on these vents evolved to use the heat and the available chemicals to fuel an entirely new way of living, one that doesn’t require energy from sunlight like life on land does. Not only that, but the way the tectonic plates on the seafloor move can completely change the kinds of chemicals and life forms found there. Most of the vents we’ve explored come from mid-ocean ridges, where tectonic plates spread apart. But in the past decade or so, scientists have also begun to explore the subduction zones, places where one tectonic plate slowly crushes another together and the bottom gets recycled. “That environment is very different geologically, chemically and biologically,” said Chadwick. Chadwick’s not a chemist or a biologist, but thought those subduction zones could host an entirely different set of biological communities from the volcanic vents where plates are spreading. With all of that opportunity, bioprospecting hydrothermal vents for new pharmaceuticals is still in its early days—even if folks have been talking about it and bioprospecting other parts of the ocean for decades. Sure, lots of pharmaceutical companies have been issuing patents for ocean-borne molecules, but only a tiny fraction of underwater species have been found, according to a European Parliament report on bioprospecting back in 2015, and nearly all of the existing bioprospected molecules come from easier-to-access shallower waters. As for the vents, McPhail’s group is working on a textbook chapter on the subject, and scientists chatted about the topic while discussing whether to mine the seafloor at this year’s meeting of the American Association for the Advancement of the Sciences. And, while not pharmaceuticals, another group recently discovered a new DNA-building enzyme in a virus found on a vent and reported it in the Proceedings of the National Academy of Sciences last month, highlighting just how little we understand about the biochemistry taking place in the deep sea. With any mining, even for exotic new drugs deep underwater, come concerns about feasibility, cost, and the environmental impacts of scraping up all that life—even if it’s for a good cause. Hydrothermal vent communities have proven fairly resistant to natural changes, but haven’t had to deal with human impacts, according to a review published in the journal Marine Environment Research. 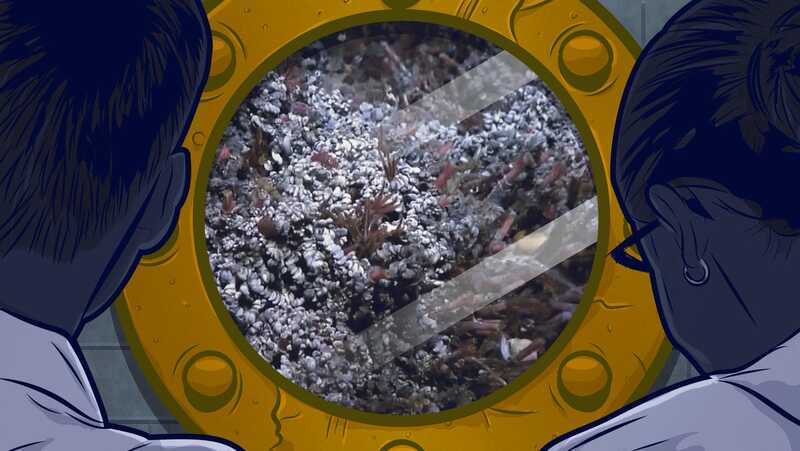 Humans can unintentionally leave junk near the vents while exploring, and the light from ROVs can disturb ecosystems. Scientists aren’t even sure what might happen if companies tried mining the vents for molecules, since it hasn’t happened yet, according to the paper. This type of work is going to be pricey, too. There aren’t figures for what harvesting might cost at the deep sea vents, but creating 300 mg of the chemical halichondrin B from a sponge in shallower water cost a New Zealand company $500,000, according to a United Nations report on bioprospecting published in 2005. This highlighted to the report writers the importance of coming up with sustainable solutions once useful molecules have been found. 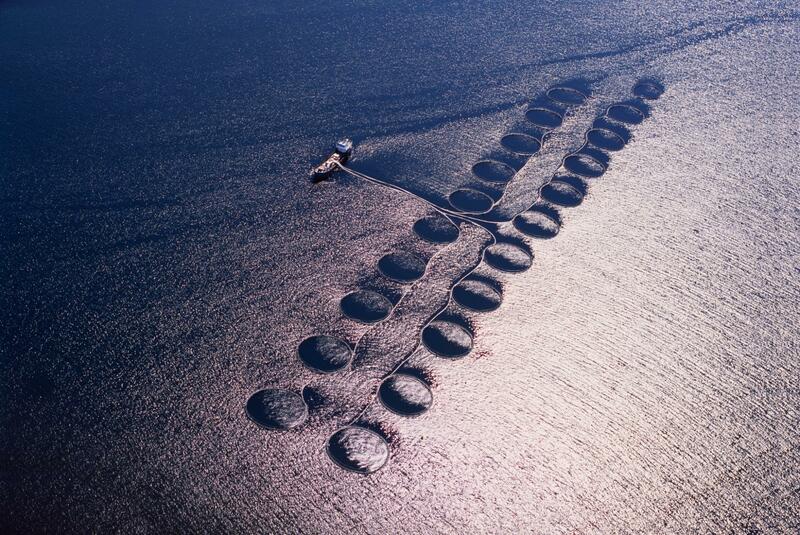 Then theres are regulatory hurdles: the United Nations Convention on the Law of the Sea, or UNICLOS, governs taking resources from the seafloor. The ocean around countries belong to those specific countries, while seabeds outside those boundaries are fair games for everyone. We may need to begin thinking about these issues soon. McPhail recently received word from a University of Washington oceanographer that there may be funding for an automatic vehicle to replace remotely operated and piloted vehicles to snag samples from the seafloor. “I can sit and watch in realtime data being collected,” said McPhail, and it could more efficiently pick up more samples without the scientists needing to go on seafaring voyages. But losing the ocean trips is a bittersweet change. “It’s hugely disappointing,” she said. There probably won’t be any more The Life Aquatic with Steve Zissou-style jaunts to the exotic ocean depths. BBC : Ocean medicine hunt: A Wild West beneath the waves? TED : Drugs from the sea: What do we lose when coral reefs die? Rare only 40 years ago, farmed salmon is now taken for granted in our kitchens. Every day, salmon farmers across the world walk into steel cages – in the seas off Scotland or Norway or Iceland – and throw in food. Lots of food; they must feed tens of thousands of fish before the day is over. They must also check if there are problems, and there is one particular problem they are coming across more and more often. Six months ago, I met one of these salmon farmers, on the Isle of Skye. He looked at me and held out a palm – in it was a small, ugly-looking creature, all articulated shell and tentacles: a sea louse. He could crush it between his fingers, but said he was impressed that this parasite, which lives by attaching itself to a fish and eating its blood and skin, was threatening not just his own job, but could potentially wipe out a global multibillion-dollar industry that feeds millions of people. “For a wee creature, it is impressive. But what can we do?” he asks. “Sometimes it seems nature is against us and we are fighting a losing battle. They are everywhere now, and just a few can kill a fish. When I started in fish farming 30 years ago, there were barely any. Lepeophtheirus salmonis, or the common salmon louse, now infests nearly half of Scotland’s salmon farms. Last year lice killed thousands of tonnes of farmed fish, caused skin lesions and secondary infections in millions more, and cost the Scottish industry alone around £300m in trying to control them. one of the largest seafood companies in the world. Scotland has some of the worst lice infestations in the world, and last year saw production fall for the first time in years. But in the past few weeks it has become clear that the lice problem is growing worldwide and is far more resistant than the industry thought. Norway produced 60,000 tonnes less than expected last year because of lice, and Canada and a dozen other countries were all hit badly. Together, it is estimated that companies across the world must spend more than £1bn a year on trying to eradicate lice, and the viruses and diseases they bring. As a result of the lice infestations, the global price of salmon has soared, and world production fallen. Earlier this year freedom of information [FoI] requests of the Scottish government showed that 45 lochs had been badly polluted by the antibiotics and pesticides used to control lice – and that more and more toxic chemicals were being used. The salmon-farming industry, which has grown at breakneck speed since the 1970s, knows it has a huge problem, but insists it sees the lice as unwelcome guests that will soon be evicted rather than permanent residents. Rather than dwell on the lice, industry leaders point to the fact that in just 40 years, aquaculture has gone from providing 5% of the world’s fish to nearly 50%, and in Scotland, from a few hundred tonnes of salmon a year to more than 177,000 tonnes in 2015. They argue that new methods to control infestations are being developed and the chemicals being used are safe and degrade quickly, adding that they expect to have found a solution within a few years. “Sea lice are a natural phenomenon,” says Scott Landsburgh, chief executive of the Scottish salmon producers association. The global companies that dominate ownership of the farms, buoyed by high prices and growing worldwide demand, are confident that they will find solutions. Marine Harvest, the giant Norwegian multinational that grows 40,000 tonnes of salmon in its many Scottish farms, said this week that it needs to develop more effective ways to combat lice. “As a relatively young industry, we hope that through industry collaboration, research, transparency and sharing of knowledge, we can make the necessary changes to do better, and keep getting better,” says Alf-Helge Aarskog, CEO. Meanwhile, they urge the public to celebrate the fact that the Atlantic salmon, which used to complete an extraordinary journey across oceans to breed in British rivers, is now taken for granted in our kitchens and, in an act of ecological democratisation, has been transformed from something special enjoyed by the few into the most popular fish eaten in Britain. If the nemesis of the farmed Atlantic salmon is the sea louse, then Don Staniford, who runs the small Global Alliance Against Industrial Aquaculture, is the industry’s persecutor-in-chief. The former University of East Anglia scientist turned activist and investigator has spent 20 years tracking the industry, seeing it grow from a shrimp into a shark, which, he says, is now close to destroying itself. I last heard Staniford talk in London in 2012, when he gave a lecture at the National Geographic Society, calling fish farms “toxic toilets” and warning that diseases were rife, waste was out of control and the use of chemicals was growing fast. Not only were fish farms getting bigger, he said, they were also becoming reservoirs for infectious diseases and parasites. It was a shocking, revealing talk. I did not know that farmed salmon were fed partly on fishmeal and fish oil, often derived from ocean fish such as anchovies, herring and sardines. Despite industry claims that industrial aquaculture feeds the world’s poor, it seemed that the big farms were adding to the pressure on the depletion of the oceans. Staniford, a Liverpudlian who has lived in Scotland for many years, argued that cramming carnivorous, migratory fish into crowded tanks and releasing toxins, diseases and parasites into the surrounding waters was inherently unsustainable. Unless the global salmon farming industry drastically changed course, he said, it would collapse. This week I asked Staniford what had changed since then. Little, he replied, except that the farms had got bigger, the industry was spending even more heavily to control the lice, more fish were dying in appalling conditions and the pollution caused by their waste and the use of chemicals was becoming more serious. He has spent the past five years labelled an “eco-terrorist”, a “troublemaker”, an “exaggerator” and “a prophet of doom”. He has been sued by the industry for defamation, lost a high-profile Canadian high court battle, been heavily fined, been threatened many times, and been ordered never to repeat statements such as “wild salmon don’t do drugs” and “salmon farming spreads diseases”. “He is an ace troublemaker. He annoys everyone … but he uses freedom of information requests to get his data and 99 times out of 100 he is right”, says Scottish investigative journalist Rob Edwards. “I am a trained scientist. I use peer-reviewed science and use the industry’s own figures,” says Staniford. “What we are seeing now is a chemical arms race in the seas, just like on the land farms, where the resistance of plants to chemicals is growing. In fish farms, the parasites are increasing resistance to chemicals and antibiotics. There has been a 10-fold increase in the use of some chemicals in the past 18 months.” The farms are now turning to mechanical ways to delouse the fish, he says. There is also the spectre of GM salmon, with companies engineering GM plants for their omega-3 to feed the fish, and a US company given permission to develop GM salmon. “Whichever way you look, the breeding of carnivorous fish is a nightmare. It is environmentally, socially and economically bankrupt. It’s coming to a crisis point for the industry. Soaring numbers of sea lice have leached away the output of farmed salmon in Scotland and Norway over the past year and helped global salmon prices to surge. The use of chemicals, especially, worries him. Last month Staniford unearthed the fact that not only was the use of the toxic drug emamectin rising fast, but also that the industry had persuaded the Scottish environmental protection agency to withdraw a ban planned for next year. Other papers showed that the levels of chemicals used to kill sea lice have breached environmental safety limits more than 100 times in the last 10 years. The chemicals have been discharged into the waters by 70 fish farms run by seven companies. Support is growing for an investigation into the links between the industry and government. Richard Luxmoore, senior nature conservation adviser to the National Trust for Scotland, told the Daily Record in February: “The environmental standards have been put there for a good reason. It is highly worrying that they have been breached so many times. Meanwhile, FoI documents obtained by Staniford show that the Scottish industry wants to “innovate” by building the world’s biggest salmon farm, which would triple the size of the largest now in operation. It could farm 2m fish at a time, and create as much waste as a city the size of Glasgow. “It would be an ecological disaster,” says Staniford. The answer to the inevitable lice problems, say environmentalists, is to move the farms further offshore into deeper, colder waters, where lice are less able to survive, or to even put them on land, where they could be better controlled. But this would add greatly to industry costs and require investments of billions of pounds. In the meantime, the companies are using mechanical ways to trim the lice from the fish. These range from pumping the fish through water hot enough to make the lice let go of their hosts, to churning them as if in a washing machine. Both are condemned by animal welfare group Compassion in World Farming, and are known to be expensive and not always effective. Last year the heating of the water on a Skye fish farm led to the accidental slaughter of 95,000 fish. Another 20,000 died in another incident. “Many farmed fish are fed largely on wild fish. To produce farmed fish such as salmon, it takes about three times the weight of wild-caught fish. This is not only unsustainable, but adds to the serious welfare concerns about how wild fish are caught and slaughtered,” said a spokesman. The smart money is now on breeding wrasse, a small fish that eats lice. It is being widely piloted and is highly promising, says Landsburgh. “We have about 100,000 fish and the wrasse have cut our losses enormously. We haven’t had to use chemicals since August 2014. Most fish farms are overcrowded, but we are not. We find lice very occasionally but 99% of the time we are completely clean,” said Pete Robinson, a worker at the Wester Ross salmon company in Ullapool. But even using wrasse is not a complete answer. New scientific studies showed this week that fish farms may be depleting wild wrasse numbers too, and to breed enough for all Scottish farms could take four or more years, says Landsburgh. “But we have to keep at it. The louse is a hardy parasite. We are doing our damnedest to eradicate it,” he said. “There’s no right way to do the wrong thing,” says Staniford. Salmon is the biggest-selling seafood in the UK. Most UK production is carried out by six Norwegian companies. 60% of Scottish farmed salmon is sold to British consumers. Export markets are led by the US, which bought 30,000 tonnes in 2015. Wild salmon get their colour from eating krill and shrimp. Farmed salmon is still good for the health. Buy from the smaller, sea-based farms that are not under pressure to overstock. There are a few good organic ones that claim to have addressed all the problems. People have to judge carefully the environmental and health issues. The good news is that both farmed and wild salmon have very low levels of mercury, PCBs and other contaminants. Showing Sea Traffic Management services ships can use in the (near) future, and the benefits. The STM project is a follow on from the E.U.-funded MONALISA 2.0 project. MONALISA 2.0 developed a system that will enable vessel route information to be shared between ships and centers on shore. 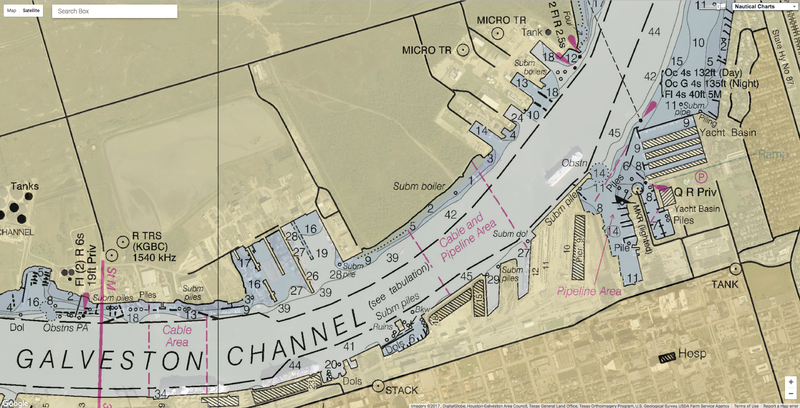 Using this data, other service providers will be able to offer advice to vessels, such as recommendations to avoid congestion in areas with high traffic, avoidance of environmentally sensitive areas, and maritime safety information. The information exchange between vessel and ports is anticipated to improve planning and performance regarding arrivals, departures and turnaround times. STM is developing the information technology platforms needed for this boost to voyage planning and traffic flow. Test beds in Northern Europe and Mediterranean Sea will engage 300 vessels, 10 ports of different sizes and three shore centers. These will validate the STM concept and pave the way for smooth deployment of new collaborative services. The first MONALISA project, implemented in 2010-2013, showed that providing vessels with the ability to see each other’s planned routes gives navigators a more complete picture of how surrounding vessels will influence their onward voyage. From this picture, shore services are able to retrieve valuable information and offer advice to vessels on their routes, such as recommendations to avoid congestion in areas with high traffic, avoidance of environmentally sensitive areas and maritime safety information. The STM Validation Project encompasses 39 partners (private, public and academic) from 13 countries and with a total budget of 43 million Euros ($45 million). The project will run from 2015 to 2018. M/S Validator is sailing from New York to Umeå, Sweden. During her voyage she benefits from several STM services and interacts with a shore centre and the port. The concrete use of services is demonstrated. The ports involved in STM have also made progress in defining information to exchange and share, developing connectors to allow automatic information exchange and setting up technical infrastructure. The project will involve testing a new technology PortCDM to enhance coordination and facilitate just-in-time arrivals, increase predictability, berth productivity, punctuality, reduce waiting and anchoring times and boost resource utilization. The major added value with PortCDM is the exchange of time stamp information between the ports and the ships. This will facilitate just-in-time arrivals and contribute to eliminating idle times for resources connected to port call operations. An example is when a pilot has to wait onboard a ship for the terminal to complete cargo operations because of a lack of accurate information. By having accurate data on the departure, the pilot can arrive just-in-time for the assignment and thereby achieve enhanced resource utilization.